Harbor Point is located in the town of Greenwich, in Fairfield County, Connecticut. Five distinct areas make up Harbor Point each having a park or waterfront feature as its focus. Currently, one of the largest development projects in the nation, Harbor Point is a mixed-use development on Long Island Sound. The development consists of office spaces, dining and shopping venues, marinas, a waterfront boardwalk, public parks, and over 2,360 new apartments. The area is a transit-oriented, redevelopment project. Plans are for the community to be largely self-contained in that pharmacies, grocery stores, and necessities area very close by. Greenwich is a town in Fairfield County, Connecticut. 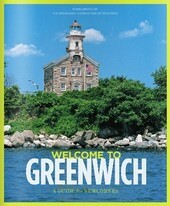 At the time of the 2010 census, Greenwich had a total population of 61,171. Local businesses include financial service companies and hedge fund management firms. Greenwich is the most southwestern city in Connecticut as well as the six state region that comprises New England. It's approximately 40 minutes from Greenwich to Grand Central Terminal in Manhattan, via the express train. Greenwich is the largest community on Connecticut's “Gold Coast.” In 2005, both CNN /Money and Money Magazine ranked Greenwich first on its list of “100 Best Places to Live in the United States.” Greenwich is named for the borough of Greenwich, London, England, famous for being the location of the Prime Meridian. Homes in the Harbor Point area are of exceptional quality. Many feature boat docking facilities, boardwalks, fabulous outdoor living spaces,and multi car garages. Many abutt conservation areas teeming with amazing wildlife. 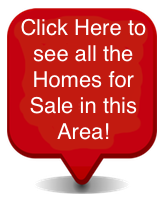 Condominiums, townhomes, and single-family homes are the types of properties currently available in the real estate market in Harbor Point. The average listing price for a condominium is $1,475,601 with prices going up $4,250,000. The average listing price for a single-family home in Harbor Point is around $4,212,213 with prices going up to as much as $49,895,000 for mansions set on expansive acreage, containing every conceivable amenity. Contact us today with any questions you may have or to schedule an appointment to see any of our exceptional properties for sale in the area of Harbor Point, or any community in the Greenwich, Connecticut area.